← My grumpy, cussing ol’ cowboy of a Gramps: a promise of hope. For Disney fans, there’s no need to describe a Dinglehopper. 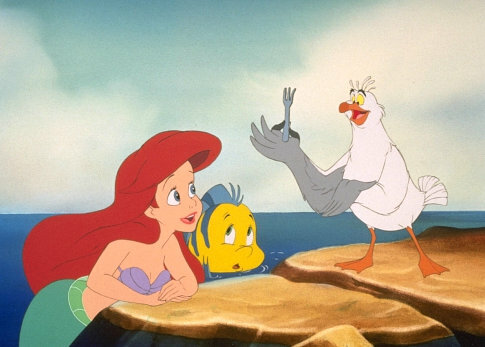 Even upon hearing the word, you’ve instantaneously thought of Scuttle the seagull teaching Ariel about her collection of human artifacts and begun combing your hair with a pretend fork. While worshipping one morning, God brought to mind a scene from “The Little Mermaid” about the dinglehopper. 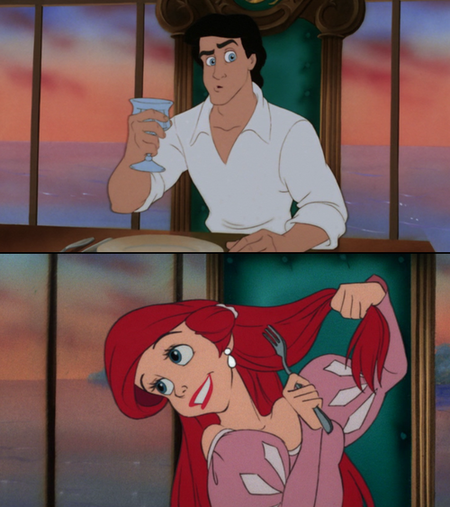 Ariel is sitting at the lunch table with Prince Eric and Grimsby. Recently transformed from a mermaid to a human, she’s having her first experience sitting at a properly prepared table in the human world. As she settles into her seat: she spots it. There’s a dinglehopper right in front of her! The moment she realizes she doesn’t have a clue. Feeling the awkwardness but not having a clue what’s really going on, Ariel silently puts the fork back on the table and lowers her head in embarrassment. As I pondered why the Lord was bringing this scene to mind, He began to speak to me about it. Ya, this was a big wake up call for me. I’m currently entering into a season of rediscovery of all the Lord has entrusted me with. I’m learning all kinds of stuff. I think God used the “dinglehopper” analogy specifically because of gifts He’s given me to eat with. I believe the Lord has prepared a table before me in the presence of my enemies (Psalm 23), but I haven’t actually been edifying myself well. I’m still confused about a lot, honestly. But, I’m trusting in the Apostle Paul’s words to the church in 1 Corinthians 14:33: “God is not a God of confusion, but of peace.” He’s so patient with me. Mostly, I’m thankful Jesus loves me so much He was willing to give me treasures and gifts even before I knew how to use them correctly. 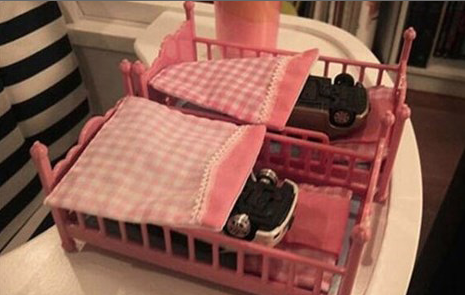 I feel like a little kid who’s been given doll beds and been using them to put my brother’s race cars to sleep. It’s cute when you’re a toddler, but at some point you should learn what each of them were meant to do. I think Jesus is showing me it is good to have this hunger and curiosity for knowledge and the gifts that He gives us. I think He’s even humored when we’re first learning about them and totally missing the mark. We’re like kids who will put everything into our mouths, just because we want to know what it feels like, tastes like, looks like. Or, maybe we just had a mis-informed teacher, like Scuttle. He’s not concerned with us failing, He’s only concerned when we quit learning and asking Him about things. At some point as we mature in our faith, it’s crucial we learn how He specifically wants us to use our gifts for His Kingdom’s purpose. I believe God wants all of us to bring all our gifts and treasures into His presence for greater clarity and purpose of what we’re supposed to do with them. When we actually ask for Him to speak about how to use things, we’ll actually have a fresh Word from Him to walk out in obedience. It’s hard to be obedient if you don’t know what He’s asking you to do. It’s hard to be a warrior when you’re using your sword for a shield, and your helmet as a shoe. What spiritual gifts or treasures has the Lord given you? Have you recently brought those gifts back to Him? I challenge you to ask Him how He would have you use your gifts, not just using them how you think they should be used.